The Tru Tool S 160 is touted as the world’s smallest and most agile shear in its class. It is most ideal for cutting the thinnest metals. It has a compact shear head with compact dimensions. The TruTool S 160 comes in two versions; this is powered by replaceable batteries. 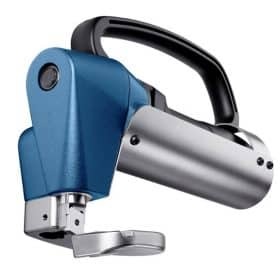 This metal cutting power tool is an effective machine in a small package. The TruTool S 250 cutting shear power tool is ideal for your mid-range power needs. 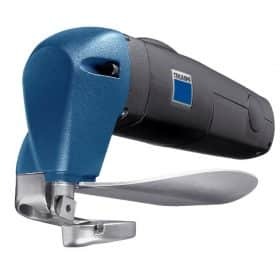 It is fast and compact and with four-sided cutting blades it serves mid-range power needs very well. Among it’s many features are the ability to cut sheet metal without chipping. 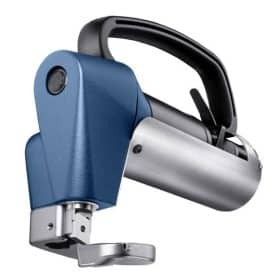 This TruTool has marvelous flexibility which you can harness to create unique curves during sheet metal processing. The TRUMPF TruTool S 350 metal cutting shear offers an optional workstation that can be operated with minimal force. The workstation provides a secure foundation that can be bolted down through mounting holes and is generally used for machining small workpieces. 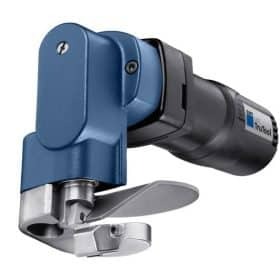 This metal cutting power tool guarantees excellent quality of metal sheet cuts. The TruTool S 450 is the largest and most powerful of the TRUMPF TruTool range of electrical-powered sheet metal cutting tools. It allows you to adjust its height easily to suit material thickness. The adjustment is tool-free and easy. With a simple turn of a knob, you can reset the height to enable you to cut metal sheets of different thickness gauges. This powerful tool guarantees you the highest quality processing even while cutting tough stainless steel!